A review on the uncut version of Fritz Lang‘s silent film Metropolis. Throw away your Metropolis DVD! The version of Fritz Lang’s sci-fi classic seen and admired by the world for nearly a century is far from the epic that the director originally envisioned. The film was significantly altered and recut after its German premiere in 1927. Theatre managers used to screen films in strict 90-minute slots and would project Lang’s original Metropolis at the wrong length. It was eventually cut by over 30 minutes for the international market and the full-length masterpiece was lost. But last night, 83 years after its first world premiere, the silent movie was shown just as Lang had intended it. The open-air gala screening on Berlin’s beautiful FriedrichstadtPalast was accompanied by the Berlin Radio Symphony Orchestra playing its soundtrack, as part of the city’s film festival. Read the rest of the review at The Independent. This is one of my favorite silent films. What turned me on to it in the first place was the Giorgio Moroder remastered, colorized version, set to 80′s music that was released in 1984. Purists however were horrified at this version. 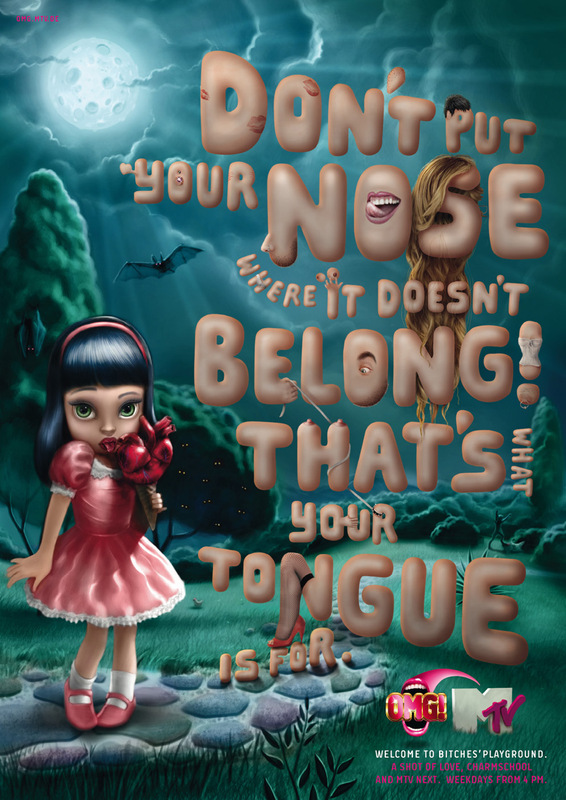 A look at eleven awesome creative ads. Get your creative juices flowing! Tired of your own mug? There is no need for your own Facebook picture with ‘Facecrook’. 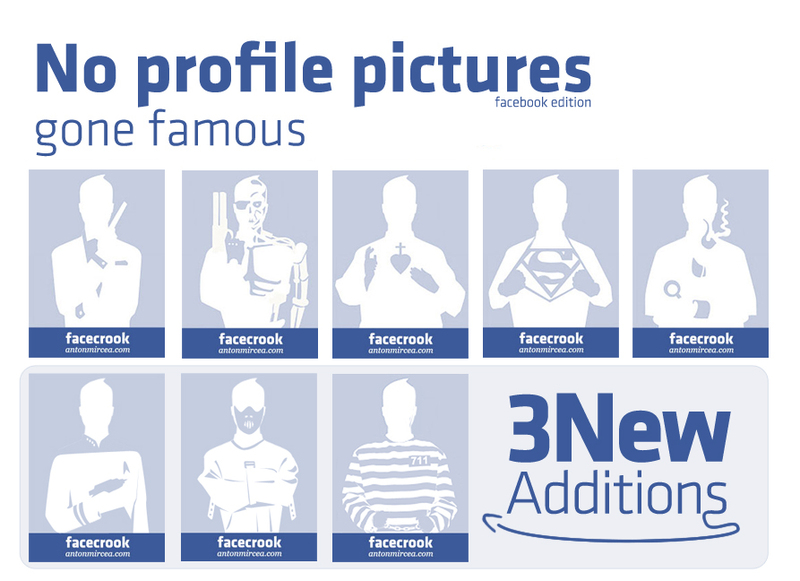 Change your picture and watch all your friends leave messages asking where you got it from. Don’t tell them. Let them wonder. 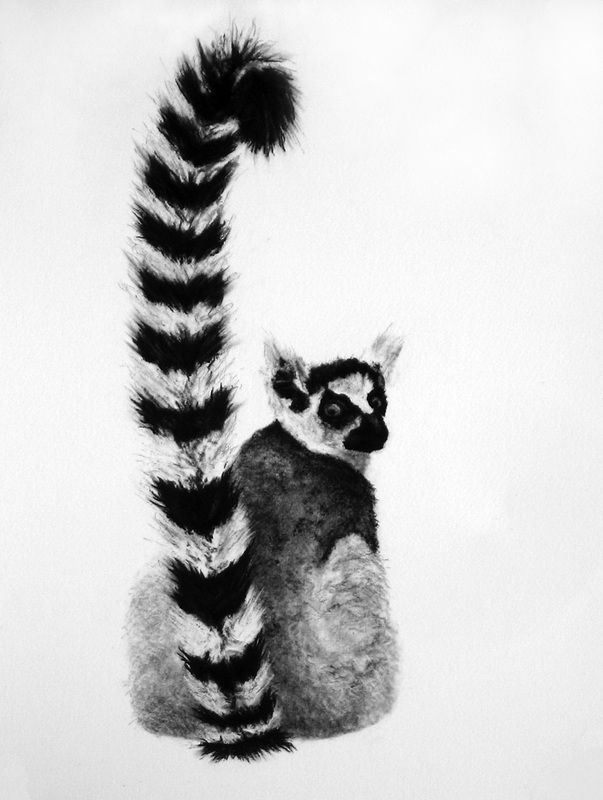 A daily dose of eye candy to highlight amazing artworks utilizing graphic design, illustration techniques or computer generated, that we find for your viewing pleasure. Enjoy! 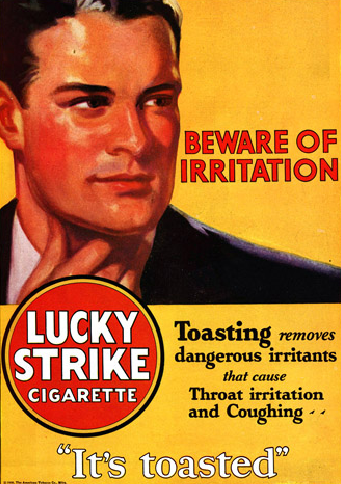 The University of Stanford School of Medicine has a showcase of images of tobacco ads from the days of yore, all of which cleverly hid the hazards of smoking. I remember listening to old radio shows like ‘The Shadow” (via some updated version of media, not actually on the radio). 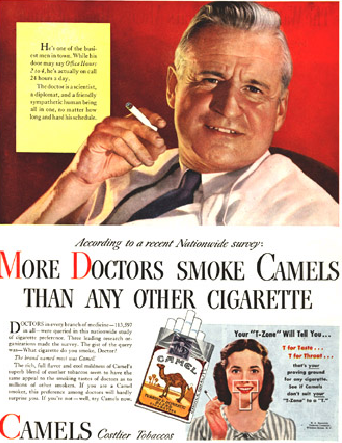 On commercial breaks, the voice ads for Camel cigarettes stated “doctors recommend Camel cigarettes”. Doctors! So it’s no surprise that other cigarette ads went so far as using babies, your mood, dieting and every other feel good trick in the book to get you hooked. Take a look. Toasted? What are they sesame seeds or marshmallows? 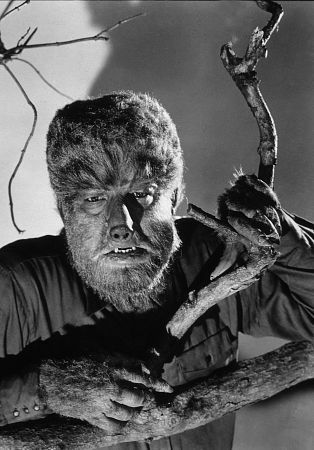 The Wolfman is being released in theaters today so here’s a look at the film sixty nine (holy crap) years ago and now. 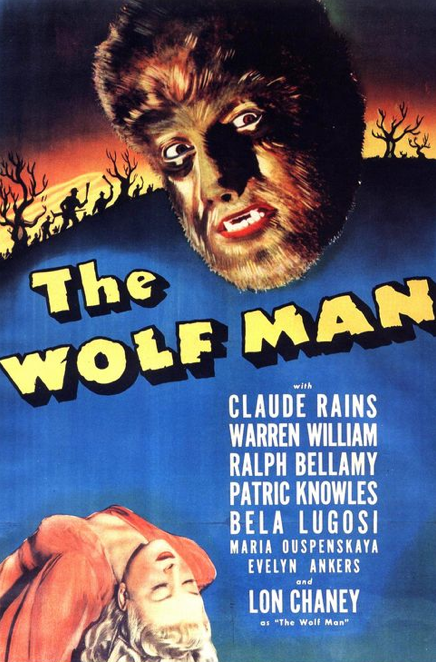 Many people reading this might not have even been alive when the first Wolf Man film was released back in 1941 which starred Clause Rains, Warren William, Ralph Bellamy, Bela Lugosi, and Lon Chany. In the reboot directed by Joe Johnston, featuring Benecio del Toro (who plays Lawrence Talbot), they tried to keep to the original as much as possible. In case you live in a cave and aren’t aware of the storyline the synopsis is as follows: Thought absent from his ancestral home of Blackmoor for many years, aristocrat Lawrence Talbot returns to find his missing brother at the request of the latter’s fiancee, Gwen. 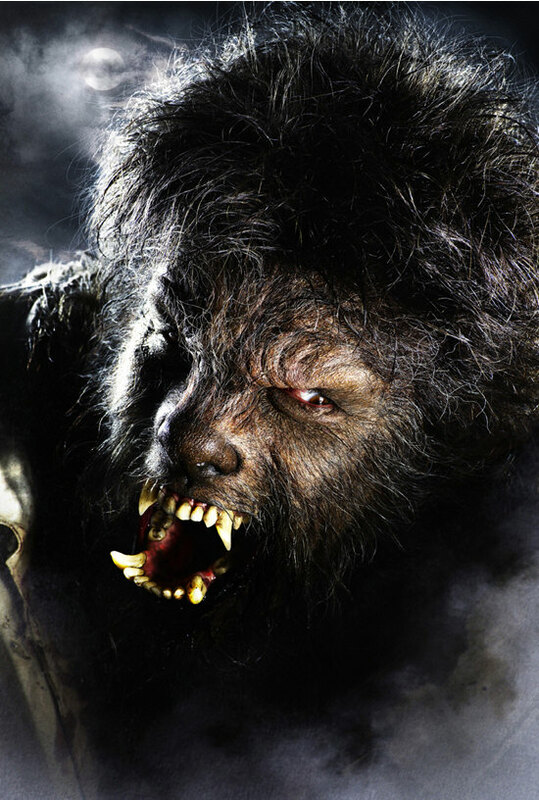 He learns that a creature has links to an ancient curse turning people into werewolves when the moon is full. To save the village and protect Gwen, he must slay the bloodthirsty beast, but he contends with a horrifying family legacy. Move over Jacob and the Quiluete tribe! 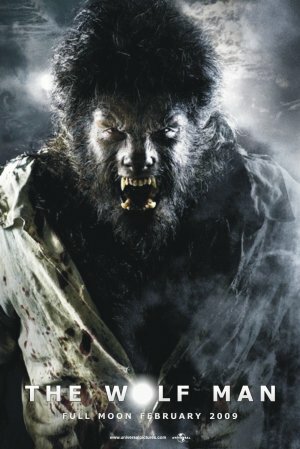 This is not your Twilight werewolf. This one is scarier, and how shall I say this…more adult. Before the trailers, the posters alone hooked me in. All the worries over whether or not all the re-shoots would harm the film, or the statements inferring the film wasn’t good enough therefore they had to ‘fix’ it, might have be planted purposefully to add more hype. At least I hope so. Here is a comparison of The Wolfman circa 1941 photos and posters versus the modern 2010 version. They did stay pretty much true to form with the make-up. It just looks enhanced and even more ugly. The special effects make-up back in 1941 wasn’t too shabby. Have you ever seen the original? Which movie did you prefer? 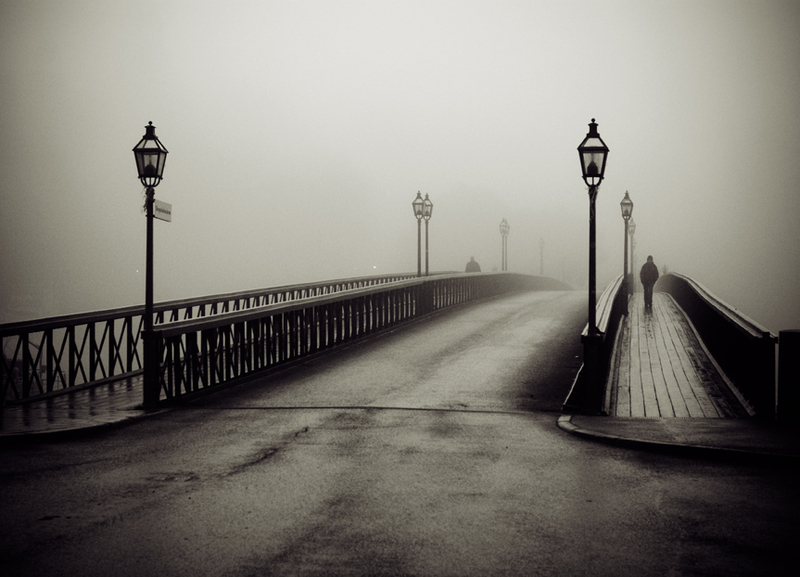 Some amazing photographic eye candy.